In 2014/15 Year of Culture I described SYRIZA as a ‘cultural constituency’, as opposed to a traditional political movement whose raison d’etre is economic rationale. This means that SYRIZA and movements like it are not motivated by economic objectives in the traditional sense. This is a consequence of the fact that in the developed economies economics is no longer a central driving factor in the creation of policy by authority. Since policy is no longer oriented around economics the response to authority can no longer be oriented around economics. Cultural constituencies are evolving to fill this hole left where economics once was. My analysis was made was before SYRIZA actually came to power. Since then they have been duly elected and have carried out the first in a series of negotiations with the EU and the Troika with regard to the Greek debt. The outcome of these negotiations have caused massive confusion on all sides of the so called ‘left’ and ‘right’. Even the Germans, who appear to have scored a substantial victory, are somewhat baffled by the ease with which they achieved this outcome. The result of the negotiations just does not seem to make sense. What can account for SYRIZA’s apparent total capitulation? Condemned by the post war establishment; Pundits and politicians of the post WWII order are not going to like these groups. And they are going to act against them. ‘Let us begin with what should be indisputable: the Eurogroup agreement that the Greek government was dragged into on Friday amounts to a headlong retreat…. It is fairly clear from these two examples that the insurgent ‘left’ is firmly against SYRIZA from the get go. And I don’t have to try very hard to find examples on the European right that are as at least as negative. The left more than anything, is a product of the post WWII political order. The left is the direct product of economic rationale- the belief that economic interests dominate all other considerations, to the extent that the class of people who have the same interests can consider themselves international socialist ‘brothers’! It is no wonder then, that this left would be in the forefront of the move to attack a new configuration like SYRIZA since it represents a direct and mortal threat to the ‘socialist’ project. 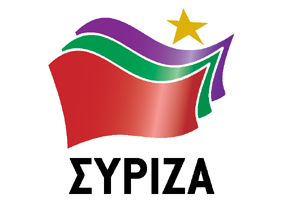 So who, if anyone, will have a good, (or at least not very bad), word to say about SYRIZA? Economic demands (are) secondary or irrelevant. Virtually everybody is at a loss to explain the totality of SYRIZAs economic climbdown. In order to try to explain what has happened, all parties have tried to portray SYRIZAs actions as the consequence of ‘losing’ the negotiations. The trouble with this explanation is that the outcomes we have seen don’t come from an unsuccessful confrontation with the EU because there has not been any confrontation with the EU! Willing to compromise on periphery, completely unwilling to compromise on core; creating new spheres and forums for co-operation, even international organisations that encompass Cultural Constituencies. But less and less willing to negotiate with their own national governments. What is the periphery and what is the core? The periphery, by definition is the EU and from this it follows that compromise with the EU was always going to be inevitable for a cultural constituency. The CORE with which SYRIZA will not compromise is the deep Greek state, by which is meant the oligarchs and those who have been in power since the end of the post WWII emergency including PASOK and the parties of the right. This brings us back to the post WWII order and brings SYRIZA and movements like it into sharper focus. The post WII order in its totality rests on left/ right and economic rationale. But these things have been increasingly undermined and it was always only a matter of time before this was reflected in politics. But the details were always going to be unclear up until the time that they weren’t- that time is now. SYRIZA is going to war with the post WWII order. They make permanent rather than transitory demands; the removal of American military bases from Japan instead of a change in interest rates. Permanent demands are ones which which will be difficult or impossible to overturn. To overturn austerity is by definition transitory since austerity is an emergency temporary measure. To disenfranchise the Greek oligarchs would be permanent. Profound realignment of politics within constituencies; Less and less will traditional areas of contention and politics operate within cultural constituencies. The members will tend to see what they have in common over what they have in difference. This will prove to be the acid test of my analysis- specifically what will be the future of SYRIZA over the next couple of years or so. The standard analysis will predict a breakup of the SYRIZA alignment under the pressure of dealing with the demands of the negotiations and failure to achieve economic concessions from the EU. Under my analysis these traditional areas of contention based on economic rationale will become less and less important and will be replaced by a new network of agreements and understanding. What this means is that SYRIZA will not come under pressure to implode as is expected. Instead we will see a period of bloody trench warfare between the post war establishment in Greece and SYRIZA. The establishment will do everything it can to cause strife between Europe and SYRIZA to distract SYRIZA from its core objective of attacking the oligarchy. SYRIZA in turn will do everything it can to promote peace with Europe so it can focus on the Greek elite. About forty years ago, a hard line group of Anglo Saxon economists, politicians and financiers put into action a plan to build an alternative economic and political system within the framework of the developed western economies. This group was generally referred to as ‘Monetarists’. First the Monetarists manoeuvered a committed core of extremists into key positions in academia and politics who prepared the way for the new regime by vociferously agitating for change. The Monetarists and their spokespeople influenced media and opinion formers to change the general tone and nature of public attitudes towards their project. Through the systematic use of media the Monetarists coalesced a hard line grouping within the population who were disaffected with the existing order and were now prepared to countenance extreme methods to forward the agenda to which they had been persuaded to give their allegiance. This group would be the shock troops of the new order. Having successfully placed loyal supporters in key positions and having created a core of committed, even fanatical, support within the general population, Monetarists then were in a position to overthrow the existing financial and political order and replace it with their own. The legal and the democratic validity of this coup was questionable to say the least. Throughout this process, Monetarists relied on international support against resistance within the native populations they were disowning. They explicitly used the economic and political power of their international network of supporters as a threat to cow the domestic population and to claim legitimacy for their project. Monetarists were broadly successful in their first phase of introducing a new regime. But perhaps inevitably they came up against increasing resistance from sections of the public when it became clear what the consequences of their project would be. Then came the Credit Crunch; the point where the new regime began to collapse under the effects of its own inherent weaknesses. At this moment of maximum weakness and vulnerability, owners of major banks and their Monetarist advocates confronted the very government they claimed to be implacably opposed to and said: ‘We want another chance to implement our project and you have to give it to us. Because if you don’t we will cause chaos’. They again referred to their international supporters as an explicit threat and a legitimation. They said: ‘although we have claimed to have acted in the cause of the free market we now want you to suspend the free market’. And: ‘if you give us this second chance we will use it to repair the damage caused by the Credit Crunch and to rebuild our common society in a way that takes into account oppositional points of view’. The Monetarists were given the funds they needed to prevent their political economic project from collapsing in the form of Quantitive Easing. This completely changed the nature of the legal and financial system. However, once they had succeeded in gaining the required breathing space the monetarists did not attempt to repair the damage they had caused. Quite the opposite. In fact, they increased their onslaught in a frenzied attack on what remained of the old system. They had relied for survival on a massive bluff. They upped the ante. The bluff succeeded. About five years ago a hard line Anglo Saxon group of economists, politicians and financiers put into action their plan to build a pro NATO regime within the framework of Ukraine. The name given to this group was The Maidan. First they put a committed group of extremists into key positions in academia and politics who prepared the way for this project by vociferously agitating for this change in Ukraine .The Maidan did this by spending something around five billion dollars to create and promote what are referred to pro democracy NGO’s or ‘activist’ organisations. These ‘pro democracy’ NGO’s influenced media and opinion formers to change the general tone and nature of public attitudes towards their project. Through the use of the media the Maidan formed a hard line right wing group of thugs within the population who were disaffected with the existing order and which were prepared to use extreme methods to forward the agenda to which they had been persuaded to give their allegiance. This group would be the shock troops of the new order on the streets. Having put supporters in key positions and having established a fanatical core within the general population, the Maidan then overthrew the existing financial and political order and replaced it with their own. The legality and democratic validity of this overthrow was at least questionable. Throughout this process the Maidan relied on international support against the native populations they were disowning. They explicitly used the threat of economic and political power of their international supporters to cow their opposition within the domestic population. The Maidan were successful in their first phase. Then, perhaps inevitably they came up against ever increasing resistance when it became clear what the consequences of their project would be. They also said :‘if you give us this ceasefire we will use it to repair the damage caused by the civil war and to rebuild our common society in a way that takes into account oppositional points of view’. The Maidan were given the space they needed to prevent their political economic project from collapsing in the form of a ceasefire. However, once they had succeeded in gaining the required breathing space the Maidan did not attempt to repair the damage they had caused. Quite the opposite. In fact, they used the ceasefire to reorganise their army units and facist millitias and then increased their onslaught on the remnents of the Ukrainian state in a frenzied attack on what remained of the old system. They had relied for survival on a massive bluff. But unlike the Monetarist bluff, the Maidan bluff failed. Because the East Ukrainian resistance has so far successfully fought back to the extent that a signifcant number of Maidan millitias and soldiers are surrounded and trapped in East Ukrainian territory. So now the Maidan have sent Merkel of Germany and Hollande of France back to ask the East Ukrainians for a second ceasefire! So why did the Monetarist bluff succeed and the the Maidan bluff fail? Because the Anglo Saxon governments and populations that the Monetarists faced in their negotiations were from the same cultural group as the Monetarists. They were dealing with their own kind. This was the power they had. They had a commonality they could bargain over. The Anglo Saxon Maidan are dealing with governments and populations that come from different cultural group. They are dealing with people who are not of their own kind. They have no power of commonality with their opponents. They have no commonality they can bargain over. And this is the fundamental flaw running through the Anglo Saxon neo liberal United States of Everywhere. It has no concept of mutuality. It has no concept of Mutually Assured Destruction. It has no conception of anything outside of itself. Because the United States of Everywhere believes that deep down everybody wants to be exactly like ‘us’. And when ‘they’ hate us they only really ‘hate us for our freedoms’. Which is another way of saying that really they love us. And they won’t really, can’t ever really bring the hammer down on us, because EVERYBODY knows deep down that we are the good guys. And fate and destiny and progress have put us in our natural position at the top of the heap. There can’t be anyone who will not bend the knee to us. On what basis do different cultural constituencies constitute themselves? Fans of SUPERB IRONY have been treated to the recent spectacle of Germany launching a frontal assault on The Democracy Brand right on its home turf. The German message to Greek population and Syriza government alike is : ‘Elect who you want, it makes no difference!’. Newly appointed Greek leader Alexis Tsipras has responded by visiting the war graves of communist resistance activists murdered by the Nazis and referring more than once to the favourable 1953 debt settlement offered to the emergent West German state by the victors of WWII.. ironic it might be, subtle it ‘aint. All of which diplomatic slapstick would be almost comical if it were not for firm support for the German position across Northern Europe. It is clear that national democratic government as we have understood it for a century or more, is being invalidated by the political realities of the EU. The ‘left’ and ‘progressives’ are powerless to analyse, much less remedy this crisis of democracy. The left continually refers to this democratic crisis, but offers no contemporary analysis of it. Nor will they ever be in a position to do so. This would require an insight into the relationship between ‘Economic Rationale’ and ‘Germanic Land Democracy’ – not something the Germanic left can ever take on. If it ever did, it would invalidate itself immediately and permanently. First of all, there is no point trying to discuss this or any other crisis of democracy in abstract general terms. All attempts to do so inevitably descend into a slanging match of the most simplistic and pointless kind: eg. ‘I am more democratic than you’ or ‘the West is more democratic than the East’ etc. This is simply more rhetorical slapstick. We need a workable definition of democracy that is free from such rhetoric. We can define Democracy as a group of individuals agreeing to exploit a free resource as equals in respect of that exploitation. For example, in ancient Greece slaves fulfilled the role of a ‘free’ resource. That is to say all Greeks were equal in relation to slaves (they owned them and exploited them etc) even if citizens were not equal to each other in different respects. If one ‘citizen’ went out and kidnapped a foreign person to be used as a slave there was no cost imposed on any other citizen as a result of this. This is why ‘classic’ Greek slave owning democracy is fundamentally different from all contemporary nations holding slaves. Greek democracy was slave democracy. The modern democracy we have is different from ancient Greek democracy. Not just in its surface forms of government but in its fundamental construction. Greek democracy was based on the ‘free’ resource of slaves, Germanic democracy is based on the ‘free’ resource of land. Germanic land democracy is based on freedom to buy and sell land within the constraints of the system. What this means is that it is permissible for anyone to buy land anywhere within the designated territory, so long as they can afford it. This form of ownership of land places no cost on another citizen. What happens to, and on, any given piece of land is primarily an economic consideration only marginally mitigated by any other considerations. This is the defining characteristic of the Germanic cult of Capitalism. Freedom to trade land in this way locates Germanic Land Democracy, its origins (and even its eventual demise! ), in time and place. ‘Modern’ (Germanic Land Democracy) has nothing to do with ‘Classic’ (Greek Slave democracy), never had, never will have. Any claim that they have anything in common is purely rhetorical. Germanic democratic land ‘freedom’ never existed before it was created by the Germanic peoples of NW Europe. The modern nation state developed as a direct extension of this Germanic right to create and trade ‘private’ land. From the nation state came the modern relationship between the citizen and the nation. It is a particular political relationship. However, it turned out that the land and culture battles were not exactly over. Since modern Germanic states began to expand outwards from NW Europe periodic conflicts between local cultural groups and the Germanic form of state have occurred. But half way through the last century, a full blown culture/state crisis exploded in Germany. Fascism pitched Germanic race, and culture directly against Germanic land democracy. And Germanic land democracy was overthrown. What followed was the rise and ‘defeat’ of fascism. Was democracy reconfigured in Germany after the war? No. The democratic German ruling elite had been overthrown by the Nazis. It had proved itself incapable of controlling its geographic and political territory. At the end of the war the German elite was put on an extended period of probation under the tutelage of its Anglo Saxon cousins. It follows from this that the German state is not a real democratic state. For instance, it has only relatively recently been unified. The German ruling class still cannot operate independently. It is constrained within a set of international political chains. Again, Germany is not really a modern national democracy. The damage caused to Germanic culture in general and Germanic land democracy by two World Wars was massive. I have described aspects of the strategy employed by the Anglo Saxon powers to rehabilitate Germanic culture and politics elsewhere. But here I want to focus on the implementation of mercantile nationalism. Mercantile nationalism– is a form of nationalism based on the ‘free movement’ of individuals and mass immigration. In other words it is the most intense form of Germanic Land Democracy that it is possible to have. The brand name for this type of ‘international’ nationalism is Globalisation. Mercantile nationalism was adopted as the antidote to the ‘poison’ that caused fascism. It was supposed to be an overwhelming dose of what had caused the problem in the first place, whose purpose was literally to swamp the ‘enemy’, (those who hang on to a troublesome cultural identity) and finally sweep them away. Because of this, modern Germanic Mercantile nationalism naturally and inevitably causes conflict with expressions of culture and location, since these are deep human needs. Global modern politics has come to be about managing this conflict of interest. Broadly speaking management of the mercantile/culture conflict was going reasonably well (at least in mainland Europe), until the crisis in the relationship between globalisation, monetarism and financialisation caused by the Credit Crunch. Monetarism is the end of economics. This is why I use the term ‘Crackernomics’ to describe the centralised political response to the Credit Crunch. Just as Germanic land democracy was supposed to have resolved the question of land and culture, so Monetarism is supposed to resolve the economic struggle- permanently. Monetarism is the end of economic rationale; the end of economic classes based on income. Monetarism says there are no economic problems, there are only financial/liquidity problems and is only one way to deal with financial/liquidity problems – through money issuance. In other words, there are no economic problems any more, only political problems to be solved by central authority. The purpose of politics is supposed to be to resolve conflict. Germanic Land democracy is supposed to resolve the conflict between culture, identity and territory and replace it with economic rationale. Monetarism is supposed to solve economic rationale and replace it with………? Which brings us to the blue pill and the red pill and the choice that faces the Germanic world. The credit crunch has brought us to a bottle neck. Monetarism has destroyed economic rationale which inevitably means a return to cultural constituencies. But cultural constituencies were what forced the creation of economic rationale in the first place. The entire Germanic world has to choose between the red pill and the blue pill Monetarism or Mercantile nationalism. What the Germanic world wants is half of one and half of the other; a purple pill if you will. But there is no such thing.